For more than 50 years and across 100,000 miles, international photographer and UI&U alumna Nancy Rudolph, B.A.1989, challenged us with her remarkable photographs, made for her studies in visual anthropology, on assignment for her professional career, and “just for joy and inquiry.” While working for the Marshall Plan in Rome she documented post-WWII Italy and Germany. Returning to the U.S., Nancy turned her lens on a wide range of subjects from coal miners in Appalachia to butchers on Manhattan’s West Side to members of the Coney Island Polar Bear Club. She traveled extensively in India where she sought to deepen her Buddhist practice while also photographing the country and its people. Her work brought her to the Middle East, the Caribbean, Latin America and throughout Southeast Asia. She photographed extensively on Martha’s Vineyard where she spent many summers and in Taos, NM, where she lived for a number of years. She loved children and produced articles and two books about play and playgrounds. For many decades Nancy lived in Greenwich Village. She cared deeply about the neighborhood and was well-known on her block and throughout the community. Ms. Rudolph passed away peacefully on May 1, 2017. She was 93. Her documentary-style photography focused on the working people and children of many countries, including India, Nepal, France, Italy, Sweden, England, and the United States. A native New Yorker, Ms. Rudolph lived in Cincinnati in the late 1980s while completing her bachelor’s degree at Union Institute & University. Like many adult learners who discover Union’s programs, Ms. Rudolph had completed one year of college before embarking upon her life path, but she never abandoned her thirst for knowledge and understanding about the places and people she met on her extraordinary journey. She had already demonstrated outstanding professional achievements while also raising a family, but one long-held dream remained unfulfilled — earning her bachelor’s degree. At Union, Ms. Rudolph found a home where she could make use of the knowledge gained over her lifetime. Her studies focused on how photography and anthropology intersect, in this instance within Cincinnati’s urban Appalachian community, and how concepts from sociology, human development, and history can deepen our understanding of photography as a window to human nature. For more than four decades, Ms. Rudolph’s photo projects ranged from politically charged protests during the early years of the feminist movement to moments of great joy and utter hardship in societies throughout the world. Even while she traveled the world, received countless honors from numerous organizations, had her photos included in prestigious public and private collections, including the Ministry of Health in Mexico City and the collection of Queen Noor and the late King Hussein of Jordan, Ms. Rudolph maintained close ties with Union Institute & University, carrying out the university’s mission of socially relevant lifelong learning. She also very generously allowed reproduction of her striking photos over the years in the university’s publications. 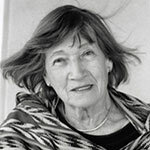 In 2002, her array of experiences culminated in a moving retrospective exhibit, “Bearing Witness to the Human Spirit,” displayed at the Interfaith Center of New York City, Cincinnati’s YWCA Women’s Art Gallery, and in the Nancy Fyfe Cardozier Gallery at the University of Texas of the Permian Basin in Odessa, Texas. President Sublett awarded her the honorary doctorate of humane letters in 2006. “It was a privilege to recognize Nancy for her valuable and original contributions to her field, and for reflecting the university’s mission and cornerstone values throughout the global community,” Dr. Sublett said. In June 2015, an exhibition of Nancy’s black and white photographs, mostly taken in the Cincinnati area as part of her academic work, was installed in the Cincinnati headquarters building. Her photos will keep her memory alive for us here at Union, as will our fond remembrances of our times together. We are grateful that we have a lasting memory of Nancy and her work. Union expresses our collective condolences to her daughter Lucy, son John, her two grandchildren, her extended family and her wide circle of friends across the world.  To learn more about Union visit the link below or call us today at 1-800-861-6400.